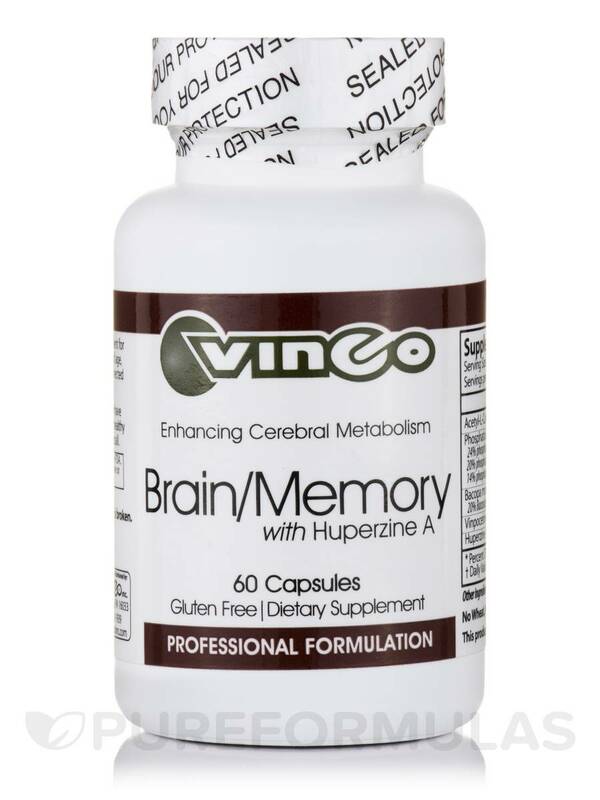 If you’re looking for a supplement that may work to maintain healthy brain function‚ you might want to try Brain/Memory with Huperzine A by Vinco. Notably‚ Vinco has included huperzine A in this supplement. Huperzine A could potentially act to relieve certain symptoms associated with mild cognitive decline; specifically‚ it might work to inhibit the breakdown of acetylcholine‚ which is a neurotransmitter that plays key roles in memory and learning. 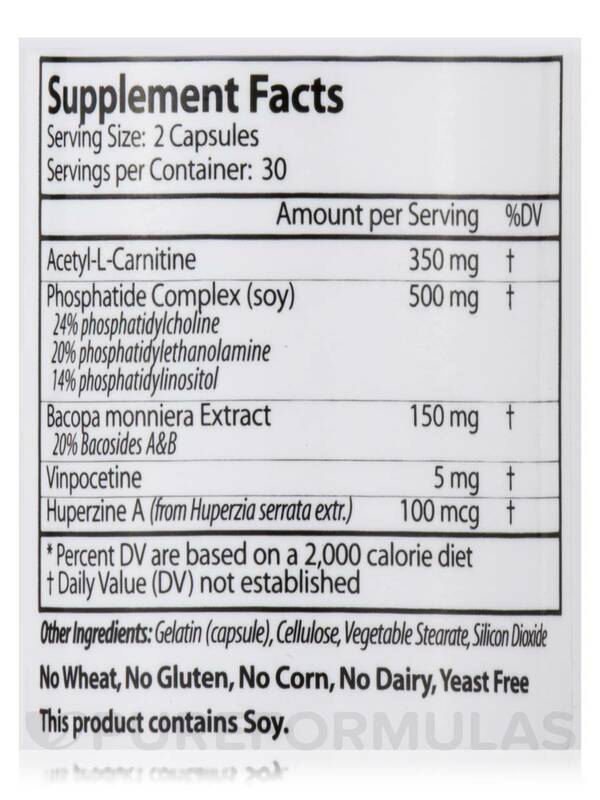 Furthermore‚ Brain/Memory with Huperzine A contains ingredients like acetyl-L-carnitine. This amino acid might work to support the activity of the mitochondria‚ which are the parts of your cells that produce energy in order to fuel the brain and other organs. Due to its antioxidant properties‚ acetyl-L-carnitine may also work to protect your brain cells from free radical damage. 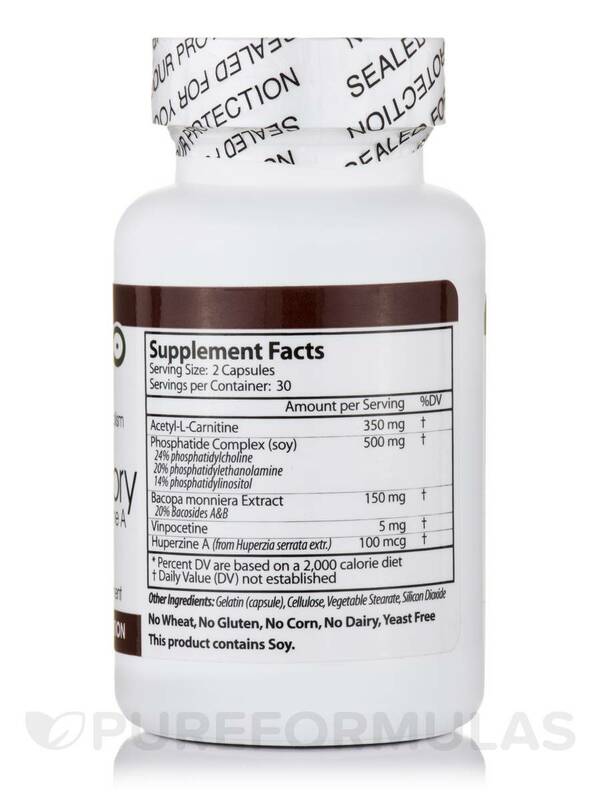 Last‚ Brain/Memory with Huperzine A contains a phosphatide complex comprised of phosphatidylcholine‚ phosphatidylethanolamine‚ and phosphatidylinositol that might offer additional support for optimal cognitive function. 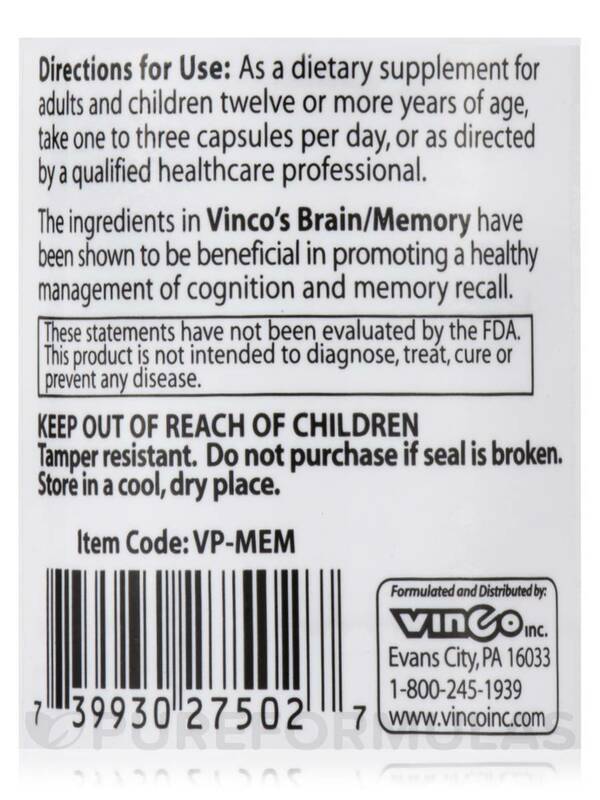 At the recommended serving size of one capsule two or three times daily‚ every 60-capsule bottle of Vinco’s Brain/Memory with Huperzine A should last for up to 30 days. Other Ingredients: Gelatin (capsule)‚ cellulose‚ vegetable stearate‚ silicon dioxide. No wheat‚ gluten‚ corn‚ diary‚ yeast. 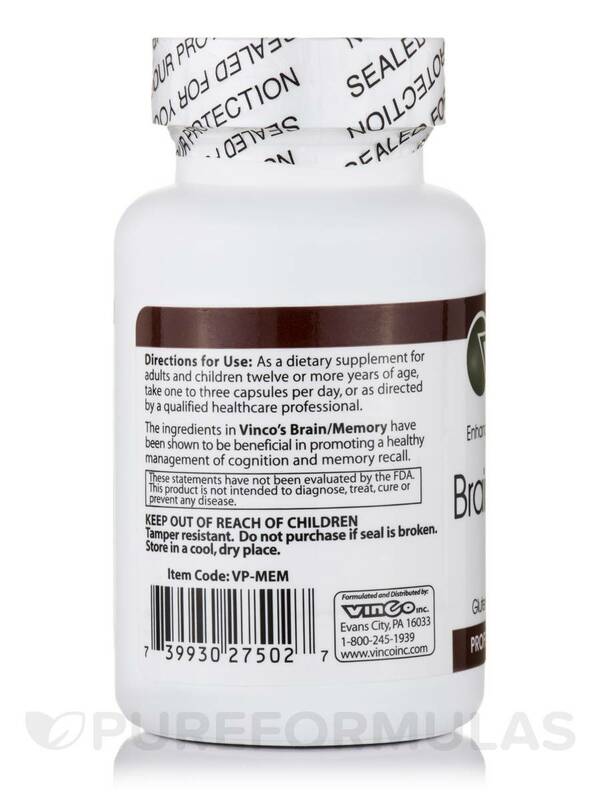 As a dietary supplement for adults and children twelve or more years of age‚ take one to three capsules per day‚ or as directed by a qualified healthcare professional. Tamper Resistant: Do not purchase if seal is broken. Allergen Caution: This product contains Soy. May have caused loose stools.